Brighton’s finest vinyl-only music store will be helping the next generation develop an appreciation of physical formats this half-term. Vinyl Revolution love it when families visit the shop together, so on Mon 18 – Fri 22 Feb during half-term they’ll be offering youngsters a chance to discover the joy of vinyl! Twice a day, family workshops will explain how records work, how to use a record player and how to hold, clean and look after vinyl records. It’s perfect for budding audiophiles or young and over inquisitive music fans. With workshops promising to be fun, factual and free of charge. The maximum group size is 12 people at a time. For more information, or to book, get in contact through their Facebook event page. 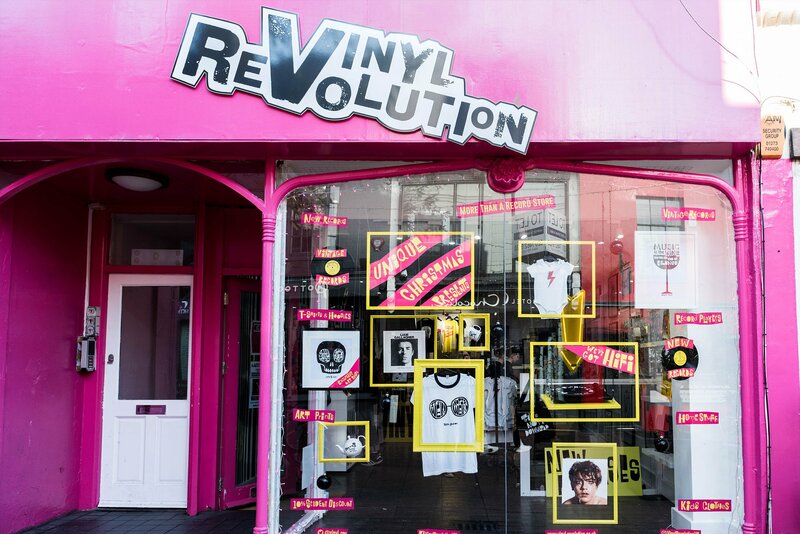 Bright and unpensions, the staff at Vinyl Revolution are proud that it’s more than just a record shop, offering hi-fi, clothing, art and fun homeware. Opened in 2017, the shop embraces all musical tastes, providing a light, roomy and inclusive interior to explore their range of new, repressed, and vintage discs. The Vinyl Revolution half-term record workshops come to their lower floor, at 33 Duke St, Brighton BN1 1AG, on Mon 18 – Fri 22 Feb 2019.